Concrete is not all the same, in fact there are many different types of concrete used for different purposes. Concrete can vary in composition, finish, and overall performance. Knowing all of your concrete options can influence which type of concrete is the best option for your project. Here we detail some of the most common types of concretes and their applied purposes. The number-one, most common form is standard ready-mix concrete. Instead of being mixed on site, this type of concrete is mixed at a large plant and then delivered ready for pouring. 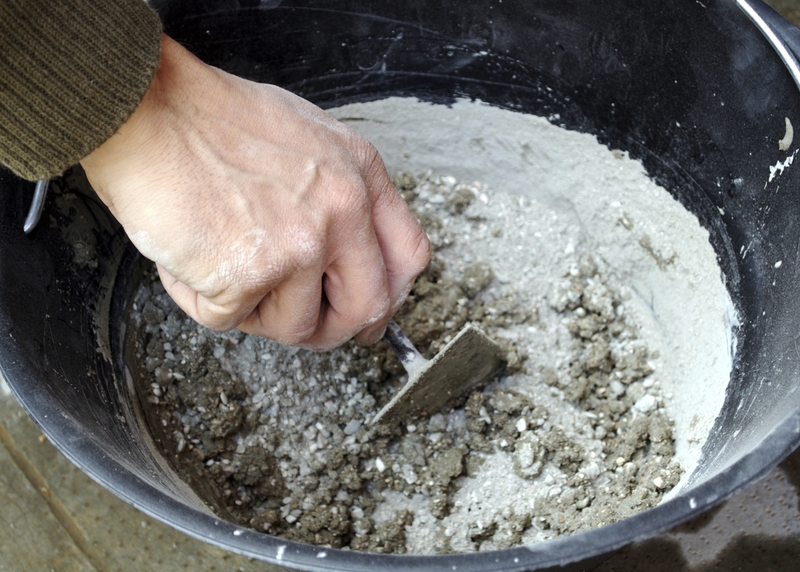 An estimated 75% of all cement products are generated from this form of concrete. Pre-cast concrete is molded into shapes in a factory, and then transported to the site of construction already formed, dried, and ready to go. This is the process used to form very large structural products, such as parts of a bridge. This same process is also used to make smaller concrete blocks and paving stones. 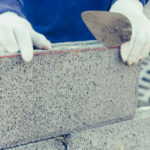 Concrete masonry includes the popular 8”x8”16” building blocks used to make many different building elements. With today’s technology, concrete masonry ‘blocks’ can actually be ordered in any shape or size, offering unlimited creative options. 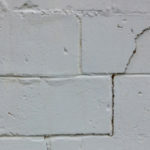 Although ‘cement-based’ implies this is not authentic concrete, it does share many similar characteristics to concrete. Know as “cousins” of concrete, cement-based materials are used to manufacture pavements and dams, among other things. Before ever being shaped into a pillar or block, concrete starts off as a few ingredients mixed together into a thick paste. Here we explain a few different types of concretes, starting back with the most ancient forms of the handy-dandy building material. Since ancient times, people have used concrete as a dependable building material. The Romans used volcanic ash and hydrated lime to form their concrete mix. This mixture proved superior to other forms of concrete such as sand and lime, as well as other less efficient combinations. Today, concrete is fashioned from a number of different mixes. Depending on the materials used to form a concrete mix, it has the capacity to withstand less or more weight. On average, modern or regular concrete can withstand 140PSI to 5,800PSI. As its name suggests, high-strength concrete can hold up more weight than your average slab of concrete, withstanding over 5800PSI. High strength concrete forms when the water to concrete ratio is lowered during the mixing process. This form of concrete is stronger but that doesn’t mean it is always better. Once concrete has already been poured an unnaturally glossy finish can be applied to the surface in order to make concrete floors appear attractively textured. This process, known as stamped concrete, is very resistant to wear and tear and offers a beautiful option for making concrete finishes look less industrial. 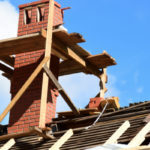 Currently, engineers are actively working to create super-sonic strength cement that can withstand just about anything. 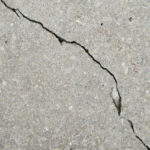 For instance, it is known that much of the concrete damage suffered after the most recent tsunami in Japan was largely to blame on poor cement quality. Cement mixed with a high water-cement ratio increases the workability of the concrete but leads to poor construction in regards to strength. Every project requires a different type of concrete in order to look and function to its very best ability. In general concrete is made to withstand 2,500PSI to 5,000PSI. If the project you have in mind must stand up to more pressure per square inch than this, there are specially engineered concrete mixes that can withstand over 10,000PSI. Construction projects generally need a little more strength, ranging around 3000PSI.